The book provides a comprehensive description and in-depth analysis of the major word order changes that took place in the clausal and the nominal domains in the transition from old to modern Romanian. The data are set in a comparative Romance perspective, with attention also paid to the impact of the Balkan Sprachbund and the influence of Old Church Slavonic. 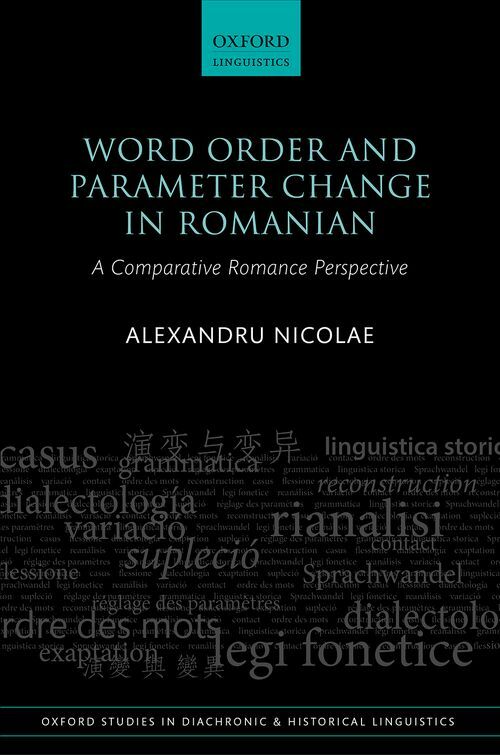 Alexandru Nicolae's analysis is based on a qualitative and quantitative examination of a large number of phenomena in a representative corpus of old Romanian texts. Some of these phenomena, such as scrambling, interpolation, discontinuous constituents, and variation in the position and linearization of DP-internal adjectival modifiers, are found across Romance, while others, such as the low position for pronominal cliticization, are relatively rare. Still others are specific to old and modern Romanian, such as the proclitic and enclitic realization of the same pronominal clitic, the low definite article, and the adjectival article construction. From an empirical perspective, the volume fills a gap in the Romance linguistics literature, as several of the phenomena it explores have been largely neglected to date. More broadly it offers a valuable contribution to research into word order typology and change, the nature and content of syntactic parameters, and the theory of grammaticalization and syntactic change. Alexandru Nicolae is a Researcher at the 'Iorgu Iordan - Al. Rosetti' Institute of Linguistics, Bucharest, and a Lecturer in the Department of Linguistics, University of Bucharest. He has previously been a Visiting Researcher at the University of Cambridge and a Fulbright Senior Scholar at MIT. His research interests include minimalist syntax, diachronic syntax, and the syntax of Romanian, and he has contributed to the OUP volumes The Grammar of Romanian (2013), The Syntax of Old Romanian (2016) and The Oxford Guide to the Romance Languages (2016).